Karakoram Highway. Pakistan and China, a complete novice who can't repair a flat tyre heads off for the mountains of Pakistan and the deserts of China. Bulgaria - Turkey - Syria - Lebanon. Took off for the next journey days after homecoming. A lot of detours and strange routes which took me to Taliban Afghanistan and an ice cold Tibet etc. etc. Ett hoppande hit och dit! Segling i Karibien, vulkanklättring i Sydamerika, efterkrigsbalkan, tibetanska högländer och mycket annat. 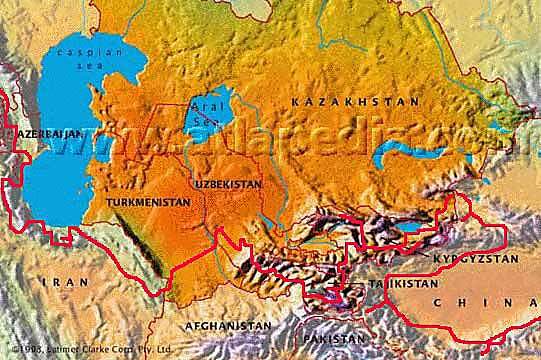 Cairo - Middle East - Caucasus - Iran - "The Stan States" - China - Nepal. 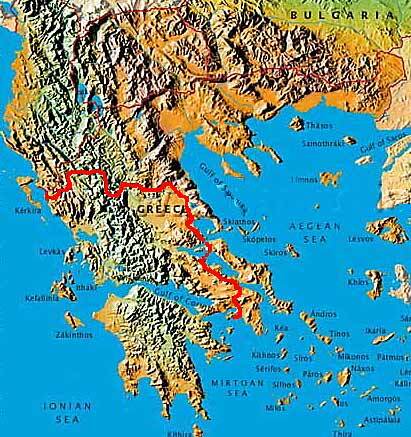 An interesting route through almost 20 countries on the way towards the east. Tian Shan - Muztagh Ata - Xinjiang Highway - Kerriya Shankou Route - Trans Taklamakan - Tian Shan. Some very intense months in the highlands of the Chinese outback. Chang Tang and East Tibet 2003 -2004 - Nothing online yet! Warm up: 2000km through the Gansu's green mountains and later Qinghai's high plateau desert. Made the first bike traverse ever of the Chang Tang. 46 days and 1050km through the roadless and desolate northern part of Tibetan high plateau. The journey continued with a winter tour through the dream destination for cyclists - Eastern Tibet. Argentina 2005 - Nothing online yet! A combined mountaineering and climbing trip following Los Andes on the Argentinian side. 13 summits and a bit over 1000km on the saddle. See the climbing section of the site for some information about the peaks we climbed. 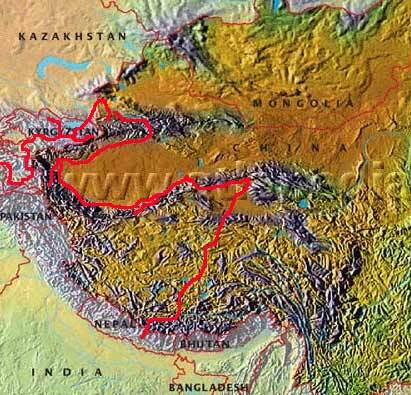 The Route: Islamabad - Gilgit - Kashgar - Wulumuchi - Xian - Some detours in Shaanxi province - Beijing. A few photos from this trip. The Middle East Tour 1994. 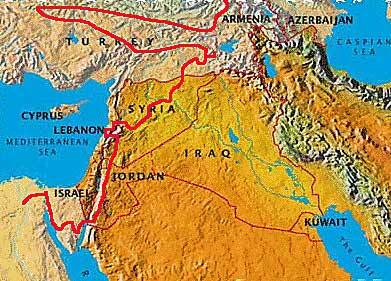 The Route: Slantchev Briag - Kirklareli - Istanbul - Yalova - Eskisehir - Göreme - Ishlaye - Kilis - Aleppo - Raqqa - Palmyra - Homs - El Qah - B'charree - Beirut. Some photos from this trip. Singapore - Stockholm 1995 - 1997. The Route: Singapore - Johore Bahru - Kota Bahru - Hat Yai - Bangkok - Nong Khai - Vientienne - Luang Prabang - Ban Bhoten - Mengla - Yinghong - Lincang - Langcang - Dali - Zhongdian - Yangjing - Markam - Bamda - (Qamdo - Riwoqe) - Tongmai - Lhasa - Katmandu...Islamabad - Peshawar - Chitral - Gilgit - Islamabad - Kabul - islamabad- Amritsar - Mahendrenagar - Katmandu - Nyalam - Saga - Tsochen - Gerze - Shiquanhe - Xaidulla - Kashi - Aksu - Bayanbulak - Yining - Wulumuchi...Novosibirsk - Moscow - Stockholm. Photos from the different parts of this journey. Bamda - Riwoqe. (Only route description, no chart). Aksu - Yining. (Only route description, no chart). The Route - First part: Sweden - Denmark - Germany - Holland - Thailand - Taiwan - Panama - Costa Rica - Panama - Colombia - Ecuador - Costa Rica - Nicaragua - Honduras - El Salvador - Guatemala - Belize - Mexico - USA - Bermuda - USA - Holland - Pakistan. 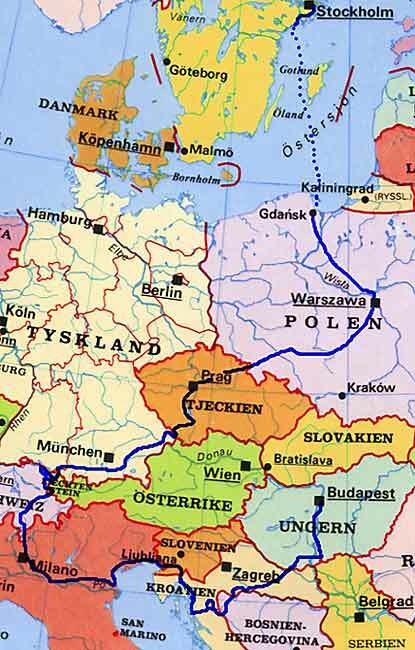 The Route - Europe: Hungary - Croatia - Bosnia - Croatia - Slovenia - Italy - Switzerland - Liechtenstein - Switzerland - Austria - Germany - Czech Republic - Poland - Sweden. "Murphy Tour" 2000 - 2001. 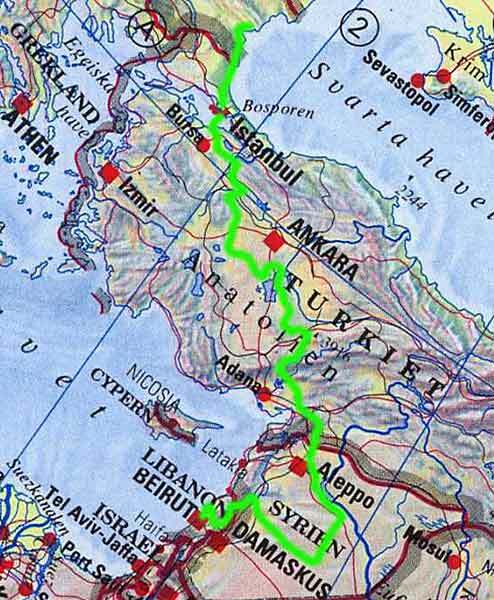 The Route: Egypt - Jordan - Syria - Lebanon - Syria - Turkey - Georgia - Azerbadjzan - Iran - Turkmenistan - Uzbekistan - Tajikistan - Kirgizstan - Kazakhstan - China (Xinjiang - Qinghai - Xizang) - Nepal - Bahrain - Greece - Italy - Switzerland - France - Luxemburg - Belgium - Holland - Germany - Denmark - Sweden. Go directly to the first page of this journey!